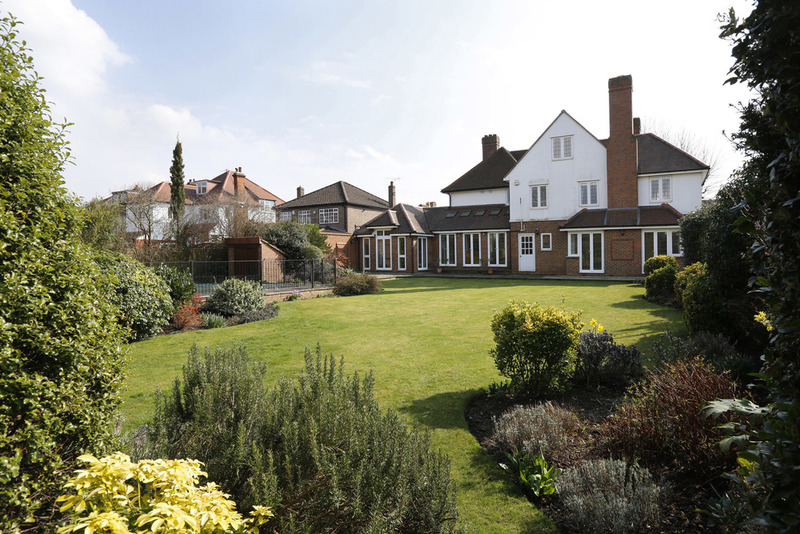 A truly delightful six bedroom detached family home offered in immaculate order throughout. Approached via a sweeping carriage driveway the property offers three spacious reception rooms, a large kitchen/dining room and playroom facing the mature landscaped rear garden and swimming pool. Selborne Road is located within easy reach of New Malden, Wimbledon and Kingston town centres, with their excellent shopping facilities. The A3 is also close at hand offering fast access to central London and both Gatwick and Heathrow airports via the M25. The nearest train station at New Malden provides frequent services to Vauxhall and London Waterloo with their underground links to points throughout the City. The immediate area offers a wide range of recreational facilities including three golf courses, tennis and squash clubs. Richmond Park, an area of outstanding natural beauty, provides a picturesque setting in which to picnic, go horse riding, jogging or just to take a leisurely walk. Theatres at Richmond and Wimbledon are popular alternatives to the West End, with both towns offering an excellent choice of restaurants. There are also numerous schools for children of all ages, in the private, state and international sectors. A truly delightful six bedroom detached family home offered in immaculate order throughout with wood flooring to all rooms and leaded light double glazed windows throughout. The property offers three spacious reception rooms, a large kitchen/dining room, which leads to a play room facing the rear garden with a vaulted beamed ceiling. The property which offers excellent lateral accommodation over two floors also benefits from a bedroom within the roof void. The garden has been beautifully landscaped with an outdoor heated swimming pool bordered by wrought iron railings with a pool house to one end and boiler house to the other. Mainly laid to lawn with border plants and bushes, and a paved terrace across the rear width of the house. A footpath leads to the front garden. Entrance Hall Engineered oak, dado rail, coving, low voltage lighting, single radiator panel, under stairs cupboard, door to rear garden. Drawing Room Bay to front, coving, low voltage lighting, pine fireplace surround, marble steps and base, gas coal, display niche, double and single radiator panels. Family Room Views to front, double radiator panel, side aspect, coving, low voltage lighting. Guest Cloakroom Duravit wash hand basin and mixer tap in vanity unit, tiled surround, low level WC with concealed cistern, white ladder rack heated towel rail, coving, low voltage lighting. Drawing Room Two square bays with French doors to rear garden, pine fireplace surround with marble slips and base. Stove fire, engineered oak flooring, radiator recessed into floor, coving, low voltage lighting, TV point. Playroom Vaulted ceiling with Velux windows, French doors to paved terrace, double radiator panel, coving, low voltage lighting. Lobby Pantry/boiler cupboard housing Glow Worm boiler, water softener. Breakfast Area Three French doors to garden, five Velux windows, oak flooring, two upright radiator panels, low voltage lighting. Utility Room Views to front, space and plumbing for washing machine/tumble dryer, tall wall units, base cupboard, laminated surface, single bowl stainless steel sink and drainer, mixer tap, tiled splash back and floor, coving, low voltage lighting, ladder rack heated towel rail. Landing Dado rail, coving, low voltage lighting, built-in cupboard housing Megaflow boiler, single radiator panel. Master Bedroom Views to rear and front. Garden, wall of built-in cupboards (four doubles), coving, low voltage lighting, two single and one double radiator panels, under stairs cupboard. En suite Shower Room Modern white suite comprising fully tiled surround to shower cubicle with rain shower head and hand shower attachment, glazed sliding doors, oval wash hand basin with chrome mixer tap with semi-circular shaped base drawers and mirrored with light above, low level WC with concealed cistern, chrome ladder rack heated towel rail, fully tiled walls and floor, further built-in cupboard. Bedroom 2 Views to front, two double cupboards and overhead storage, double radiator panel, coving, low voltage lighting. Further double cupboard. En suite Bathroom White suite comprising tiled panelled bath with a hand shower attachment, wall mounted wash hand basin with mixer tap with vanity cupboard below, mirrored cupboard above, low level WC with concealed cistern. Built-in cupboard with double doors, tiled enclosed shower cubicle with glazed door, fully tiled walls and floor, chrome ladder rack heated towel rail, recessed low voltage lighting. Bedroom 3 Front and side views, single radiator panel, coving, low voltage lighting. Bedroom 4 Front view, wall of built-in floor to ceiling cupboards, low voltage lighting, ornate coving, single radiator panel. Bedroom 5 Side view, single radiator panel, coving, low voltage lighting on strip. Family Bathroom Modern white suite comprising panelled bath with hand shower attachment and sliding glazed screen, bidet, low level WC with concealed cistern, wash hand basin with mixer tap on a coloured surface with base drawers below, chrome ladder rack heated towel rail, mirrored cupboard, half-tiled walls and floor. Bedroom 6 Rear view, single radiator panel, partial coving, low voltage lighting. Sweeping mono block paved carriage driveway with ample off-street parking and leading to a single garage with a remote control up and over door. Rear Garden Mainly laid to lawn with border plants and bushes, and a paved terrace across the rear width of the house, outdoor heated swimming pool bordered by wrought iron railings with a pool house to one end and boiler house to the other.